Kaykerry started a topic How Fast and Secure is the Camon X Face ID? How Fast and Secure is the Camon X Face ID? 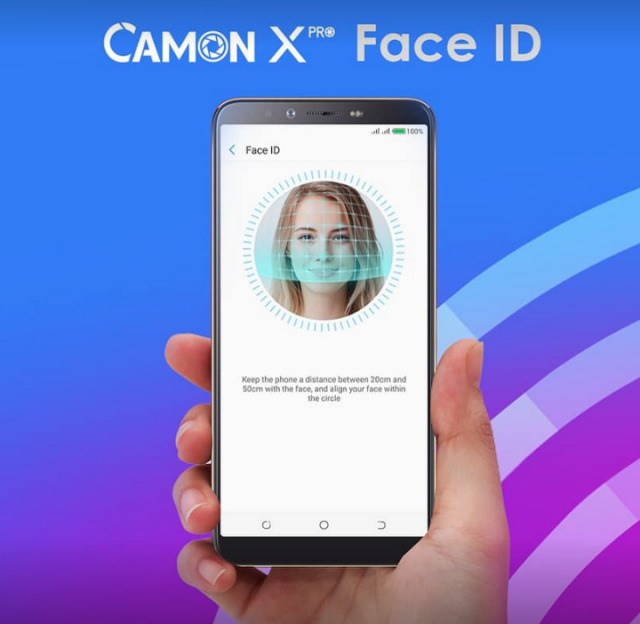 One of the strong selling points of the Camon X is the new Face ID option present on the device. This Camon X is amongst the first mid-range feature such feature so it is really a big deal. But how fast is this feature? This is the first question that comes to your mind especially if you used the iris scanner on the Camon C9 and C7. The fact that the Iris scanner was slow and couldn’t work in the night or low light conditions posed a great limitation to the feature. But with upgraded technology and the help of the front flash, the Face ID can perform its duties superfast and in low light conditions and even total darkness. To be fair in my assessment, I had to subject the device’s Face ID to different light conditions which included mild, normal and extreme conditions. I needed to know how many seconds it takes to unlock your device in those conditions. I used a timer to carry out the experiment. My first test was in a normal bright environment. The venue was a well-lit office and it took a record-breaking 7 milliseconds to unlock (0.7 secs). This is quite fast because it simply means it is faster than the fingerprint scanner which takes 1 second in the most stable condition. Then next I took it to a dimly lit room and conduct another experiment. There was light there, but not as bright as the office light. It was still a bit fast, it took 1 seconds to unlock. The final step was in total darkness. I am sure this is one of the places most people would be interested in. Of course, it worked and it was quite fast. It took 1.2 seconds to unlock the device. After all these experiments, it shows the facial recognition is quite reliable and fast and can be a safe substitute for the fingerprint method. The fingerprint came in as a big relieve to unlocking mobile devices. It was faster and more comfortable the password, pin and pattern method. But the fingerprint has its limitations, like when your fingers are oily, damp or wet, you would be surely denied access. Now, this is where features like the Face ID comes in handy. You don’t need to physically touch the device to unlock it. Just stare and gbam! It is unlocked. It's fast and easy. You don’t even need to get so close, a stare on the device on the table while standing by it unlocks the device. Honestly, what could more convenient? This has been the source of concern for most users of the technology. When you are about to set up this feature, you get a disclaimer stating that technology is vulnerable and can be accessed by persons looking similar to you. But come to think of it, how many times in your lifetime do you meet someone who is a lookalike? It is also worth to note that this same disclaimer is found on the front page of the fingerprint setup too. So if you are to ask my opinion, I would say the face ID is quite secure, not as porous as people think. It's going to open even if you close your eyes, its works with the face not eyes, thanks for this good question, pattern, pin code and password is the best.